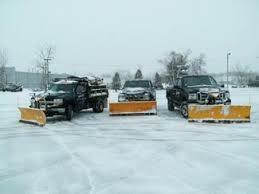 We offer both Contract Snow Removal Services and we have limited availability for One Time Snow Plowing Services. Commercial snow plowing Services are the same as our Residential Landscape Services, except for commercial properties, such as Condominiums, Independent Businesses, Rental Homes, or Schools. We typically take on commercial clients for yearly contracts, although we can be flexible to what you need. Contact us today to get a quote.